What Makes Our High-End Hosting Services Different? Hosting is a Major and Direct influence on how Google ranks and scores your Website Presence and is THE most important service other than the Design of your Site. Hamptons Web Design has been hosting East End Business Websites for over 20 years, and has evolved its service to include all of the necessary and important features. Google requires that once someone opens your website from any search, that it is "USER-FRIENDLY". Over crowded servers, slow sites, pages, or even some images, are the direct result of slow servers. This one error can cost you your rank and aggravate the people using the site. For any size business, servers that display your website need to be state-of-the-art, fast, and possess an abundance of technology for security as well as SEO purposes. Hamptons Web Design specializes in professional business hosting for local small businesses. Responsive sites, and open source sites are very complex programs that need to be integrated with our servers, for optimal performance, backups to multiple locations, and maintenance. 24/7 Human Monitoring of the system, and your website. High-Speed State-of-the-Art Servers. Highest Bandwidth available today which relates to speed of the site opening and SEO. Mini-Server Environments for any WordPress Website - encapsulates your website so if a virus or hack attempt occurs in one site, it is very difficult to access yours - opposed to shared servers where everything is available found on cheap services. Your website and data is backed up daily, weekly, and monthly to 2 locations OFF site. Raid Servers - double hard drives & mirror images switch if one crashes. No bandwidth limits for normal site traffic - 1000's of visits a day are not a problem. Anti-Virus, Anti-Hacking, CPU Monitoring (speed of server on a 10 minute basis.) All of Hamptons Web Design's software is integrated, highly secure and owned by Hamptons Web Design. We insure that it works for your business. Google Compliant. Many of our client's listings appear on Google's first page for free searches. This means that Google ranks our servers as very high quality, which improves our client's website quality score. Any issues with hosting that arise with your website, Hamptons Web Design corrects it. If you host your website with another company, and want HWD to fix it, this can take many hours costing $100's of dollars. 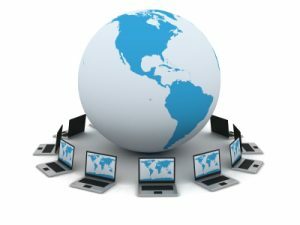 Your Hosting & Support Monthly Fee includes the full hosting service, as well as personal phone and email support for consultations, and instruction to use the self-management features of your website. There is one set fee for hosting and support - this means if anything happens to your site due to our servers, we fix it without cost to you. Hosting is month-to-month so you can cancel at anytime. 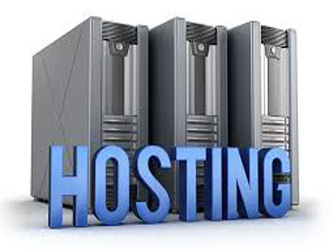 Let Us Host and Manage Your Website. Hamptons Web Design offers a wide range of services including: Responsive Website Design, High-End Hosting Service, SEO (Search Engine Optimization), Self-Management, Email Accounts, Domain Name Management, Google Analytics, Online Marketing, Keyword Research, Google Places Pages, Local Directory listings, Citation Management, Reputation Management, Web and Internet Presence Management, Facebook Pages, LinkedIn and Twitter Set Up, Social Media & Search Directories Management, Google AdWords Pay Per Click (PPC) Advertising Campaign Management, Facebook Advertising Management, and Consultations and Strategy. We are proud to have served the following Local Small Business Community including: Architects, Builders, Contractors, Designers, Artists, Photographers, Restaurants, Real Estate, Landscapers and Landscape Design, Home and Property Maintenance, Doctors, Lawyers, Retail Shops, Products, Services, Art Organizations, Galleries, Artists, Writers, Sculptors, Musicians, Entertainment, Developers, and Personal Websites among others. Hamptons Web Design serves the East End of Long Island, the Hamptons and North Fork including: Amagansett, Bridgehampton, East Hampton, Quogue, East Quogue, Hampton Bays, Montauk, Napeague, Sag Harbor, Sagaponack, Shelter Island, Southampton, Springs, Wainscott, Water Mill, Westhampton, Westhampton Beach, North Fork, Noyac, North Sea, Greenport, Southold, Mattituck, Calverton, Peconic, New Suffolk, Riverhead, Orient and New York, Manhattan, New York City, Long Island, and Suffolk County. We also have clients throughout the United States.